Are Robots Creating More Jobs in the US? More than 14,000 online job ads required knowledge of robotics in the United States during the last 90 days, growing 10% year-over-year, according to WANTED Analytics™. 05/01/13, 11:06 PM | Industrial Robotics | SICK, Inc. The tail could be compressed by nearly 50 percent of its original width before permanent damage occurred. Metcam, a fabricator of sheet metal components and assemblies for OEMs, today announced it has completed implementation of a number of improvements, from plant configuration changes and floor space expansion to installation of more than $2 million in new equipment. These enhancements, accompanied by continued diversification of its customer base and expansion of customer relationships, enabled Metcam to achieve record sales in 2012. ASI's Guideline™ wins Bronze at Chicago Ceremony; awards celebrate 26 years of honoring innovators and innovation. Be part of creating the new generation of technology for national security, DARPA Director Arati Prabhakar urged the symposium plenary audience at SPIE Defense, Security, and Sensing in Baltimore Monday. Prabhakar's talk wrapped up the first day of the annual event, and featured numerous examples of the important role photonics play in current applications such as night vision, smart prostheses, and cyber security. 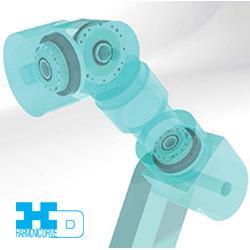 05/01/13, 10:34 PM | Industrial Robotics | ABB Inc.
Open to current and potential customers. Late afternoon Open House open to all! Over 40 live demos and seminars on automotive and general industrial applications. Being showcased as one of the top ten reflects and recognizes the significant amount of expertise, focus, and game-changing technologies that Boston Engineering has worked hard to bring to its customers, both commercial and government.